When the artist line-up for this year’s Coachella was announced back in January, the inclusion of Mr Eazi and Burna Boy as performers had fans of Afropop salivating. Last year, Wizkid was slated to perform at the two-weekend festival, but he couldn’t make it, ostensibly due to visa complications. Wiz’s absence, many feared, would negatively impact future decisions of the festival organisers in booking Afropop acts, which, thankfully wasn’t the case. That the berth even widened from one to two spots this year, with Mr Eazi and Burna Boy, being two of the genre’s most famous ambassadors, following their well-timed 2018 campaigns. 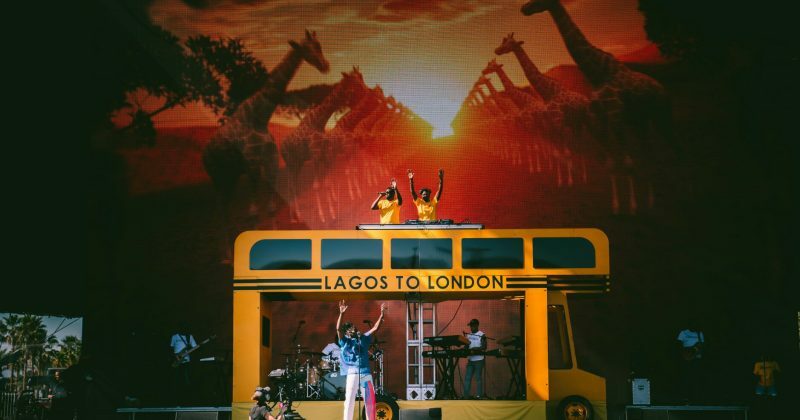 On Saturday and Sunday, Mr Eazi and Burna Boy showed up and showed out respectively at weekend one of Coachella 2019, both performing on the main stage to the thousands of festival-goers present. Mr Eazi was the first of the two acts to perform, sauntering unto the stage on Saturday evening at 6PM local time—2AM Sunday morning, Nigerian time. Dressed in an iridescent vest, a pair of ripped jeans and dark sun shades, the singer wasted very little time in informing the crowd of his intentions: “I want to take you guys to West Africa”. Immediately, Mr Eazi bounced into a brief rendition of “Leg Over”—just the first verse and a single recital of the hook—probably to assert some familiarity with the audience. In 2017, he’d performed the song on the Late Late Show with James Corden, a perk of being Apple Music’s ‘Up Next’ act in June of that year. While the performance from two years ago was a tad too lethargic, there was genuine vigour to his performance this time around. Since becoming one of Africa’s biggest music exports, Mr Eazi has been playing shows across to sold-out crowds across continents, and the experience accrued so far was on full display on the Coachella stage. 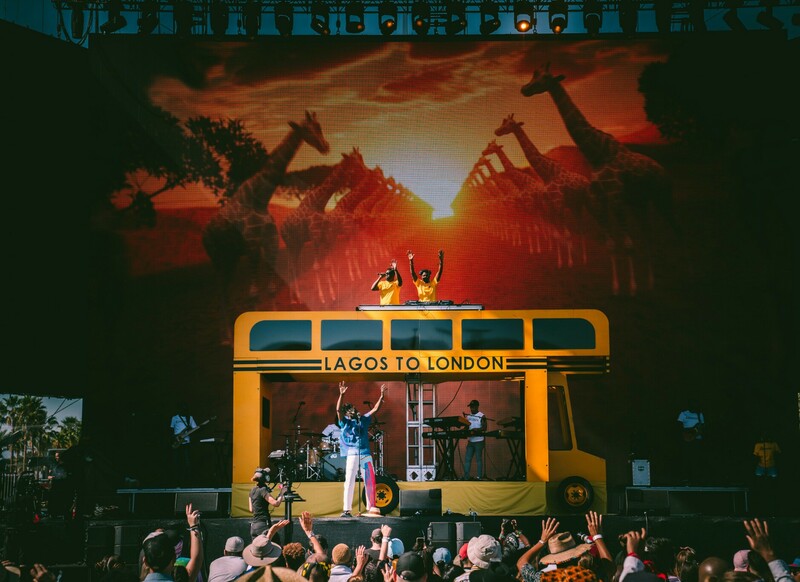 From the elaborate stage design, notably spotting a replica of the bus adorning the front cover of last year’s ‘Lagos to London’ mixtape, to being supported by a well-oiled band, omnipresent backup singers, and ebullient dancers, Mr Eazi put on a bright show with camaraderie lodged at its centre. What he lacked in a towering presence, he made up for with pure, unbridled entertainment value, visibly compelling a crowd filled with white people who tried to match his tunes and riddims with their own bodily rhythms. A very significant part of Mr Eazi’s set was how unabashedly Pan-African it was. In the recent past, the singer had come under fire for not being nationalist enough, especially after pointing out the influence of Ghanaian music on Nigerian music, and choosing Gambian Jollof in the inane Jollof wars. Hearing the Banku music connoisseur repeatedly shout out a number of African countries was delightful. Deepening the credence of his self-appoint himself as an ambassador for African music, he peppered his set with Easter eggs many Africans would recognize instantly, like plugging a Juju-based instrumental of popular church hymn, “All to Jesus I Surrender” at the tail end of his Simi-assisted hit, “Surrender”. At the end of his 40-minute set, the singer yelled “Life is eazi”, to which the crowd audibly replied with his trademark slang, “Zagadat!”, unequivocal confirmation that he’d achieved his set out objective. Performing on Sunday evening at 4:15pm local time—12:15am Monday morning, Nigerian time—Burna Boy had his work cut out for him considering the high bar Mr Eazi had set the previous day. Currently the fiercest Afropop act out, there was zero doubt Oluwaburna was going to deliver a worthy performance, and when he strolled unto the Coachella main stage alongside his backup singers, to the opening sounds of “Heaven’s Gate”, he moved like the stage was created for him to own. After an impassioned delivery of the first verse of “Heaven’s Gate”, Burna, similar to Mr Eazi, centred his performance close to home, informing the audience he was Nigerian and African, before barrelling into a one-two punch of “Streets of Africa” and “PH City Vibration”, deep cuts off last year’s classic album, ‘Outside’. Considering the Afrofusion artist released ‘Steel & Copper’, a stellar short tape of meditative Trap bangers with Grammy-nominated production duo DJDS, sticking to songs closer to his roots on his entire set list, was even more proof of Burna’s uncompromising stance as an African Giant. Unlike Mr Eazi’s Burna’s stage set was significantly minimalist, and for good reason. 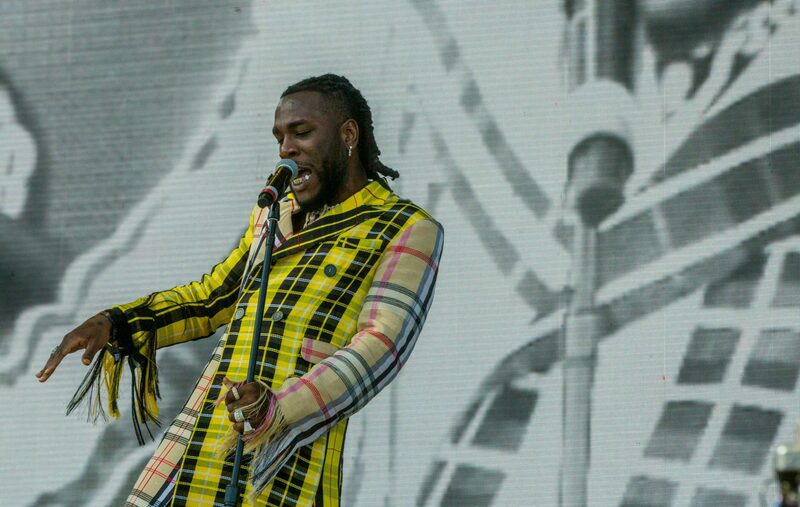 Known for his lively performances, Burna filled every inch of the stage, bouncing around and radiating ridiculous levels of energy for the major part of his set. Toward the end of his set, the artist and his backup dancers pulled a dance-off to “Killin Dem”, allowing Zlatan’s superb verse to run out while they stomped out an assortment of Zanku moves. While Burna’s performance was an exhilarating reminder that the artist has delivered a deep well of phenomenal, wildly popular songs over the years—“Tonight” notably received a great reception—it also had an emotional, if not cathartic, quality to it. On a handful of occasions, especially on the more personal songs like “Pree Me” and “Soke”, Burna would spend ample time glued to the microphone stand at the centre of the stage, eyes dilated, each lyric imbued with as much emotional weight as possible. “Ye” inevitably closed Burna’s set, finishing out on a crescendo and walking offstage with a facial expression of conviction. In terms of benchmarks, the acceptance of Afropop in American markets has been middling over the 20-some months since “One Dance” happened. The only thing that hasn’t happened yet for the genre is a Beyonce feature, making the appearances like Mr Eazi and Burna’s important for such future scaling opportunities. Through their stunning sets, both artists conveyed the magnificent quality of the expansive genre, where mood and form are colourful intertwined to embody the diversity of the people they represent. For a combined 80-minutes, it was really Africa to the World.